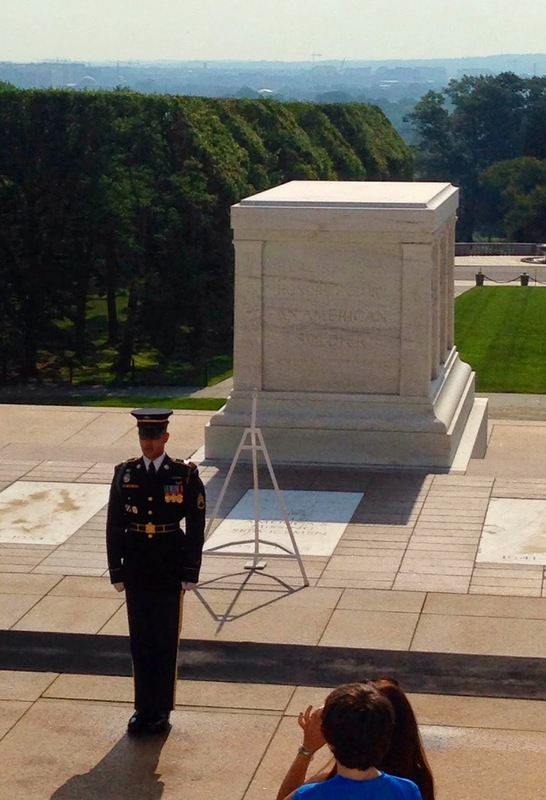 May 25, 2012 was a beautiful spring day. 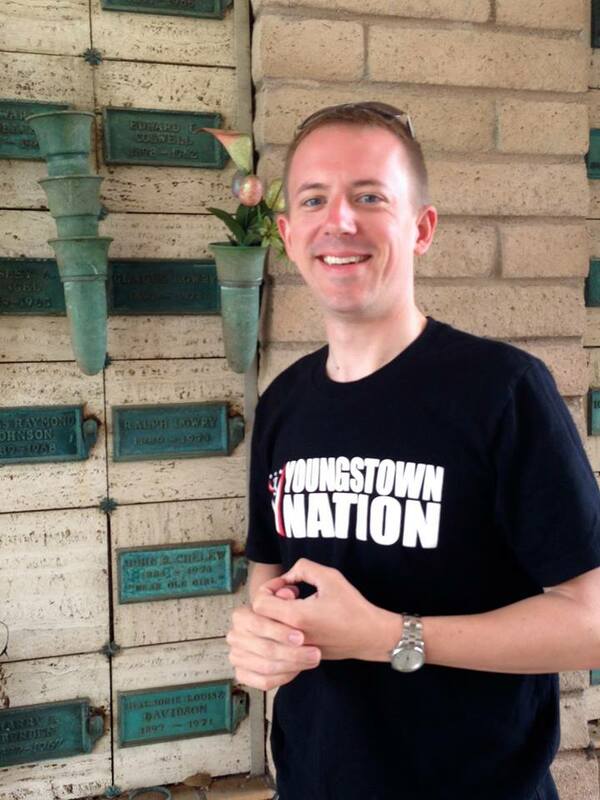 I was in Ohio to attend the wedding of my cousin Michelle and decided to spent a few hours on the road in Columbiana County, Ohio. 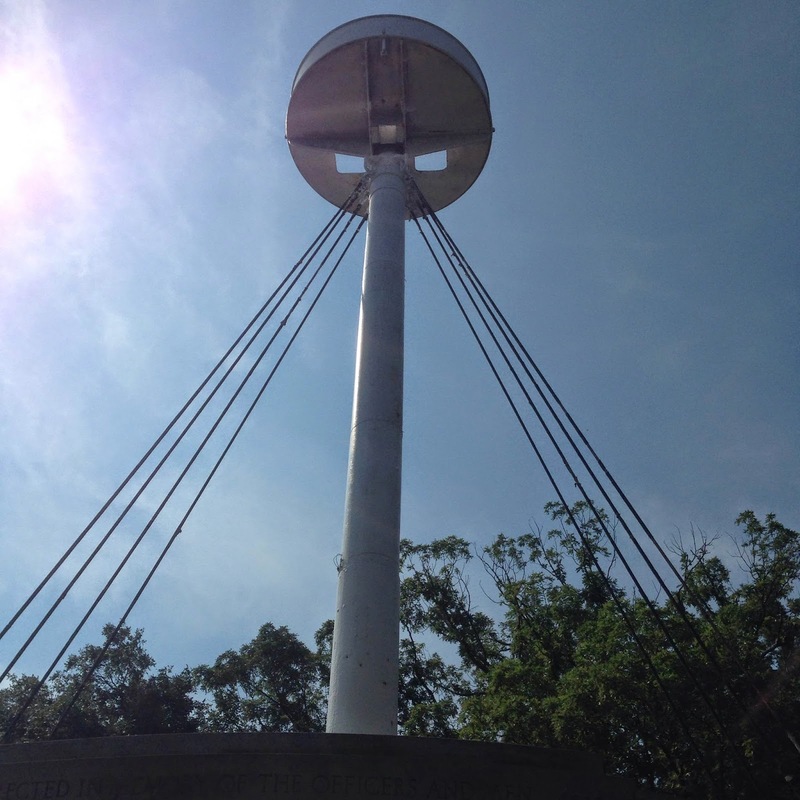 Thanks to my iPhone, doubling as my camera and GPS, I was quick to locate Calvary Cemetery in Leetonia. 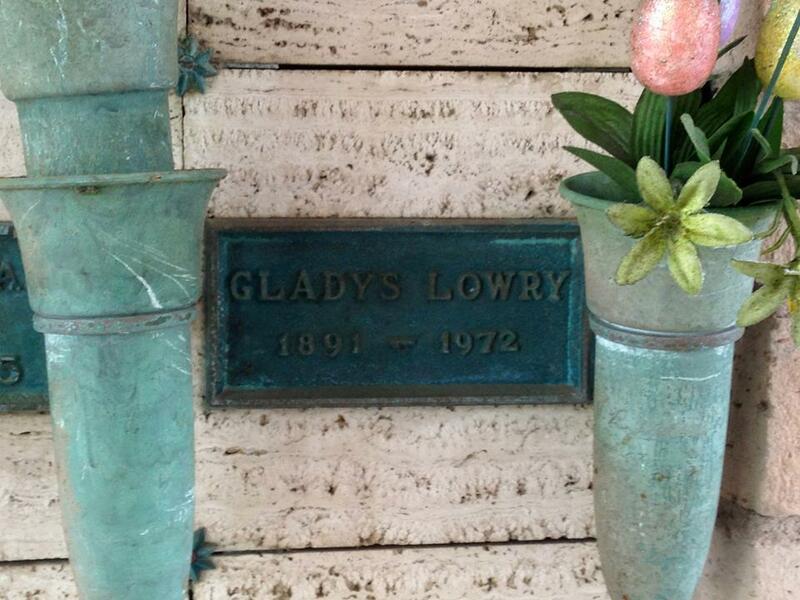 Calvary is the final resting place of any number of paternal ancestors, namely Lottmans, Lowrys, and Pepperneys. 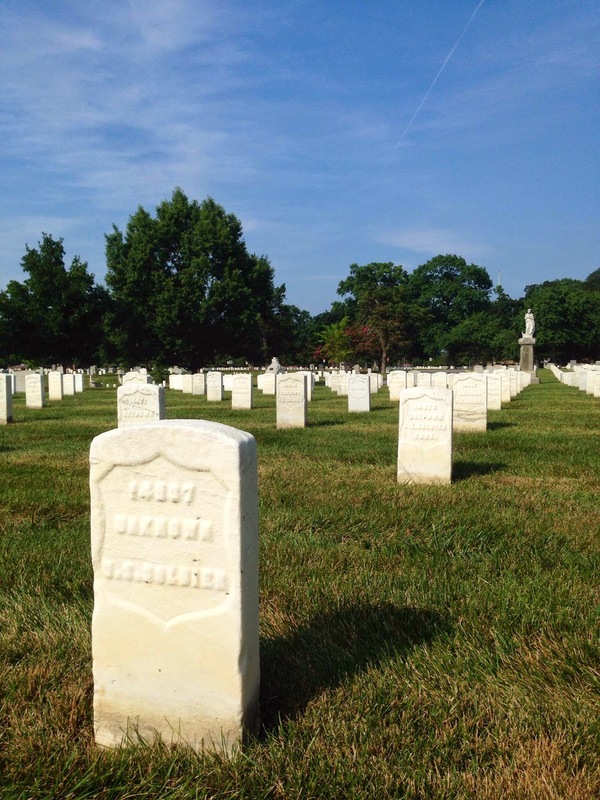 I was able to locate these graves after 20 minutes of wandering, followed by several questions of a groundskeeper, and then just one minute of walking. 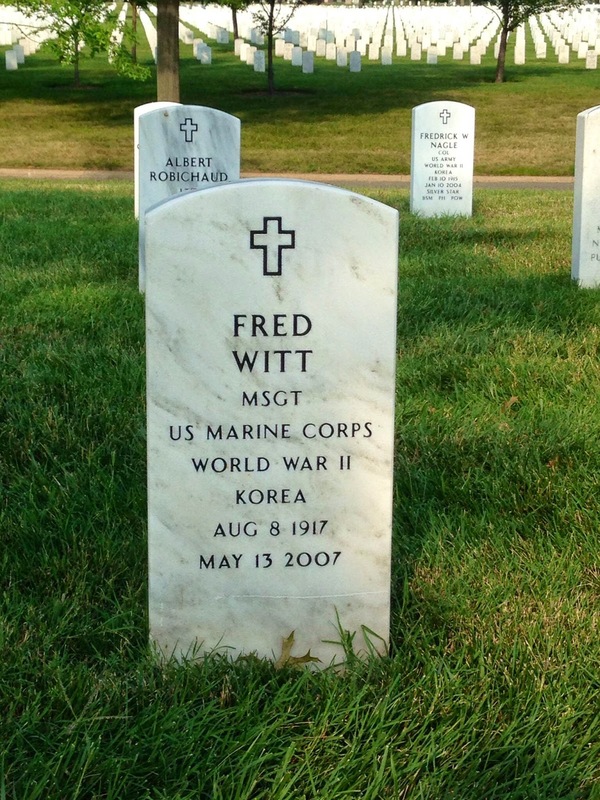 This old grizzled cemetery veteran knew the location of their graves down to the row number. 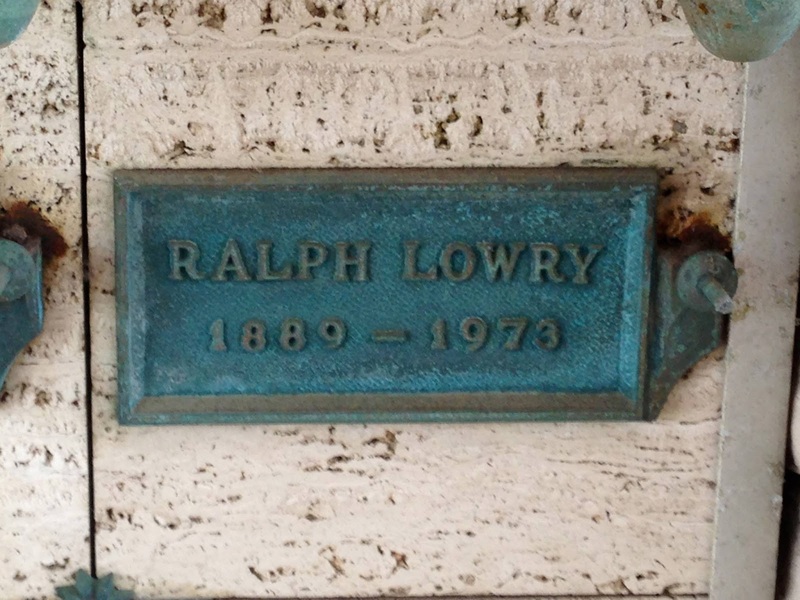 An unknown Lowry family stone. 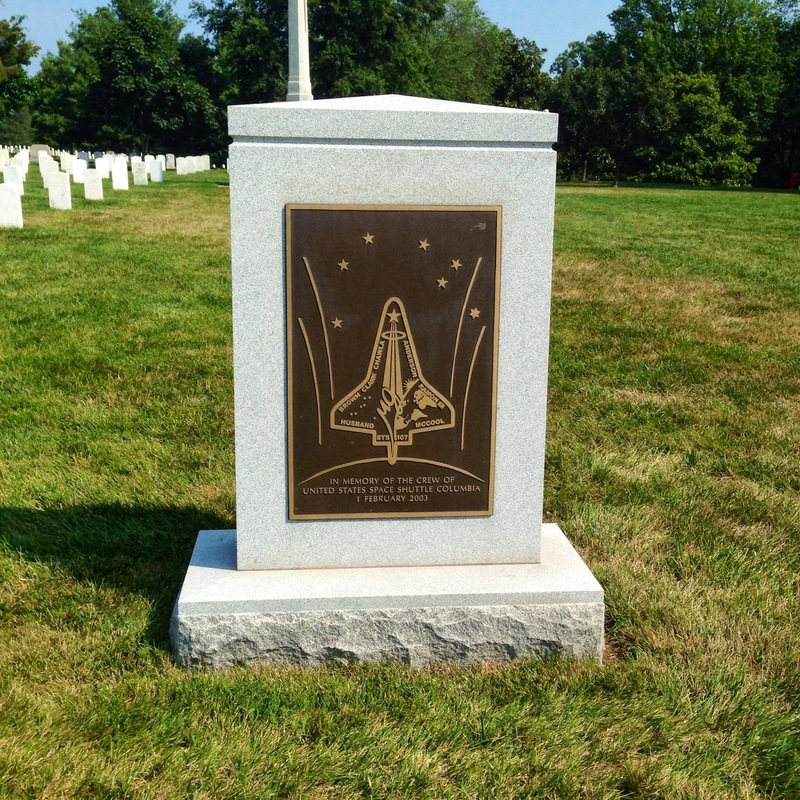 There are no flat markers around it and no other names on the stone. 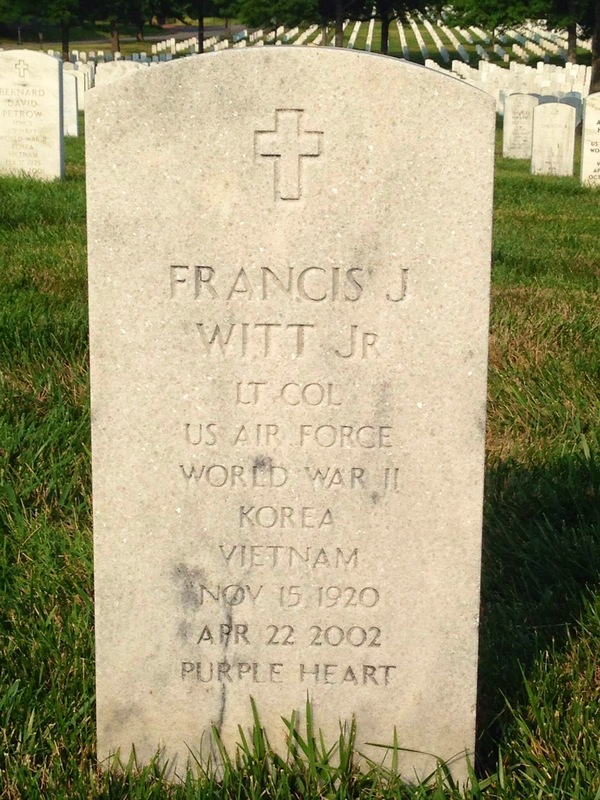 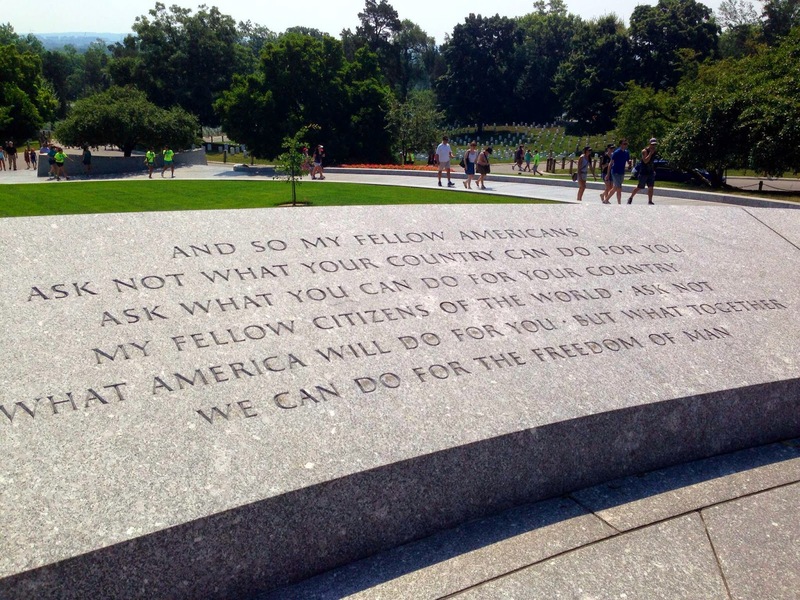 Because of this, it’s hard to confirm who is buried here. 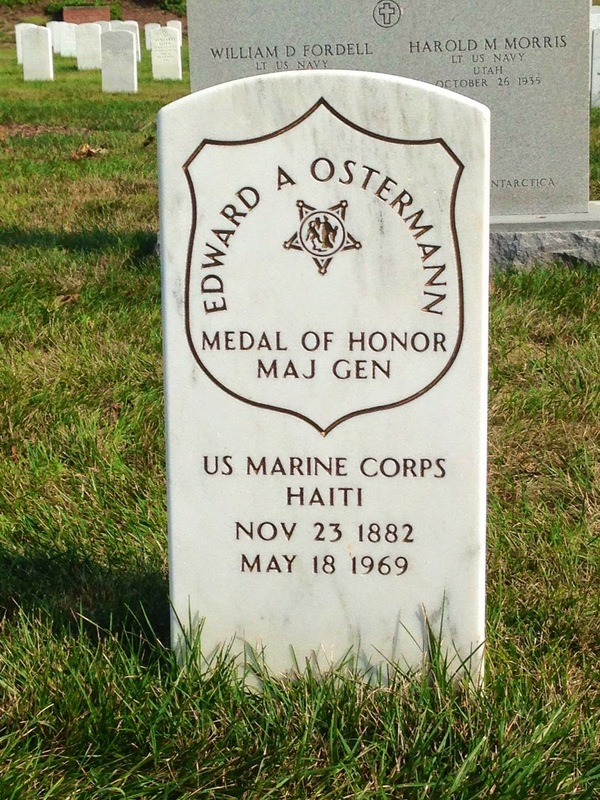 There is no records office for this cemetery. 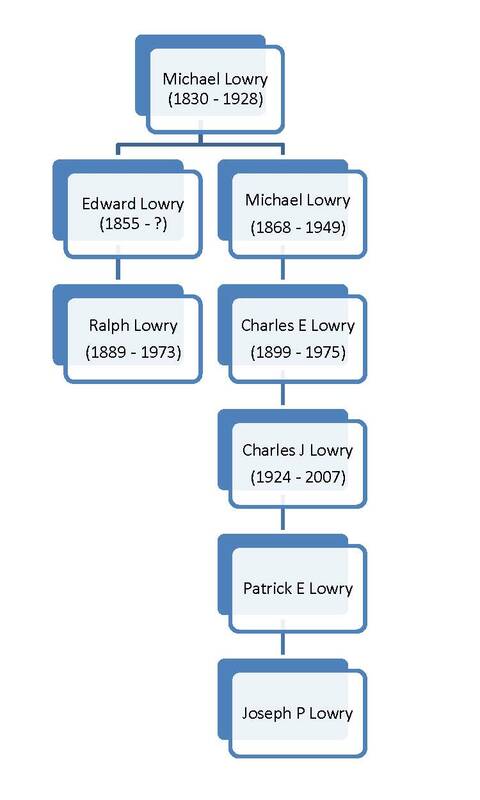 I believe either or perhaps both Michael Lowry (1868 – 1949) and his father Michael (1830? 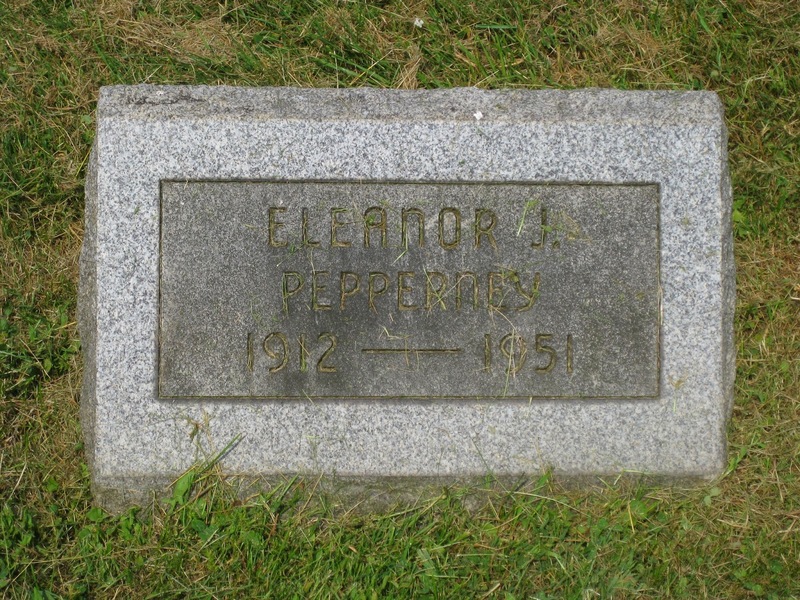 – 1928) and their wives are buried here. 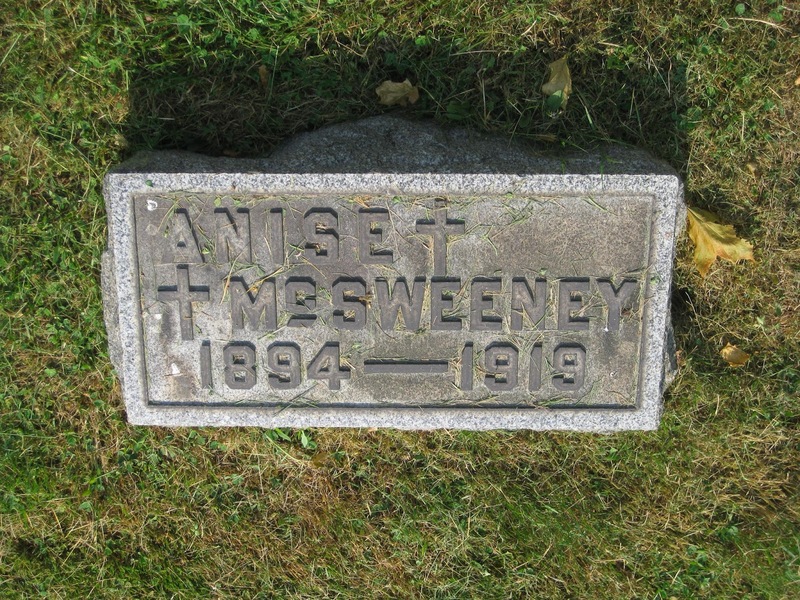 This is the grave of Anastasia Lowry McSweeney. 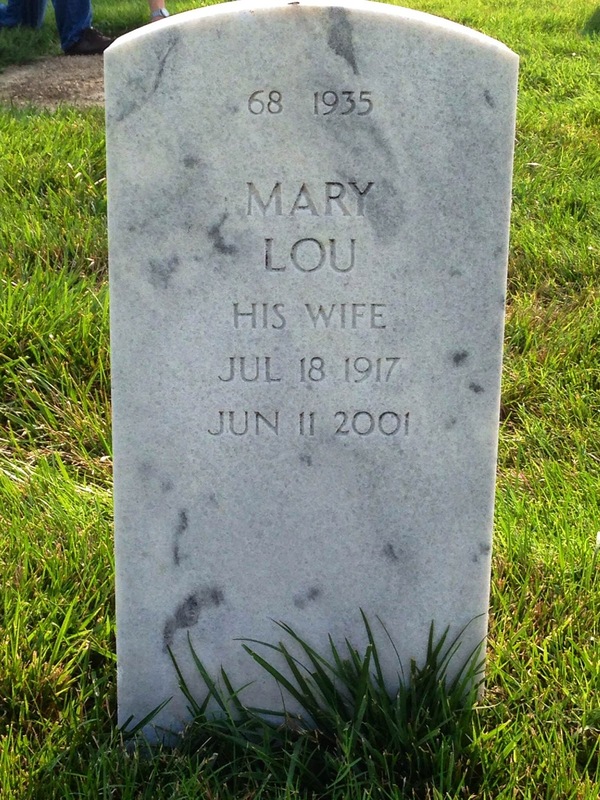 She was a daughter of Michael Lowry Jr. and Anna Lottman Lowry. 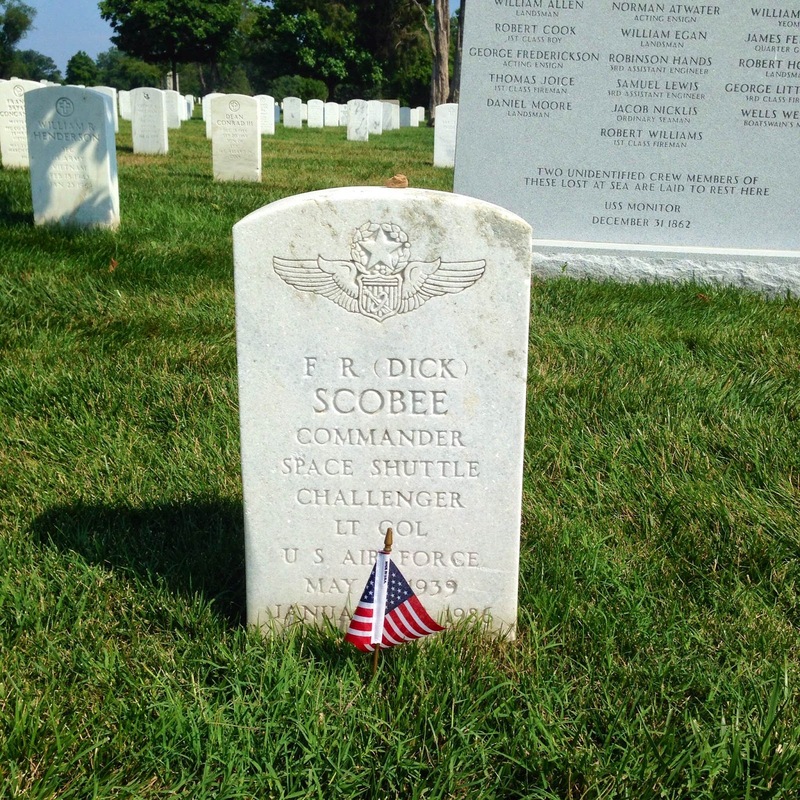 At the age of 24, she died of sarcoma of the hip. 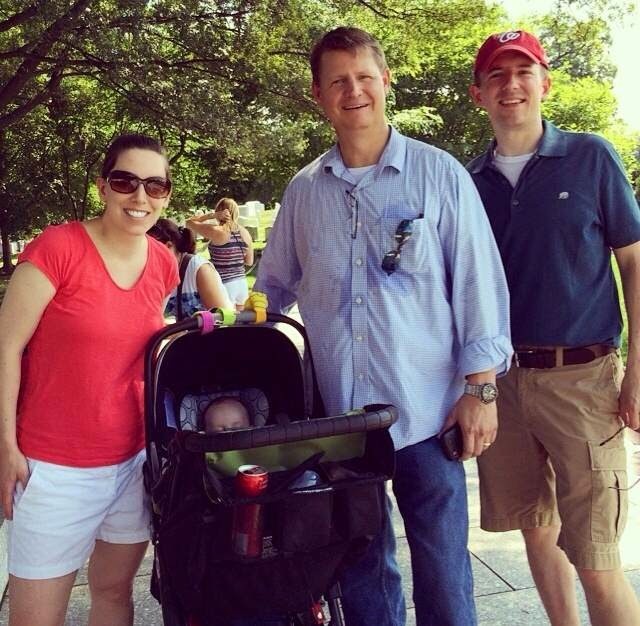 She left behind a 1-year-old son Joseph and an estranged husband. 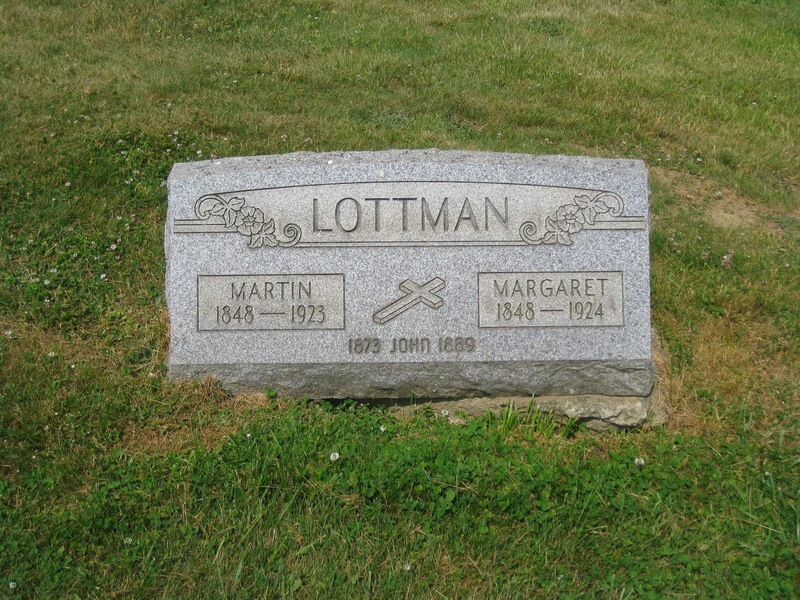 Martin and Margaret Lottman are my 3rd great grandparents. 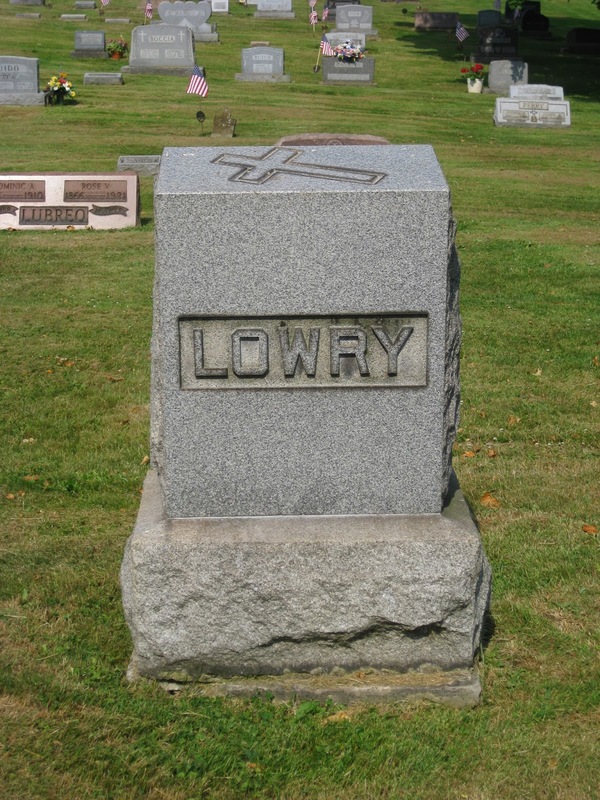 They are buried just feet from the Lowry marker and their granddaughter Anastasia McSweeney. 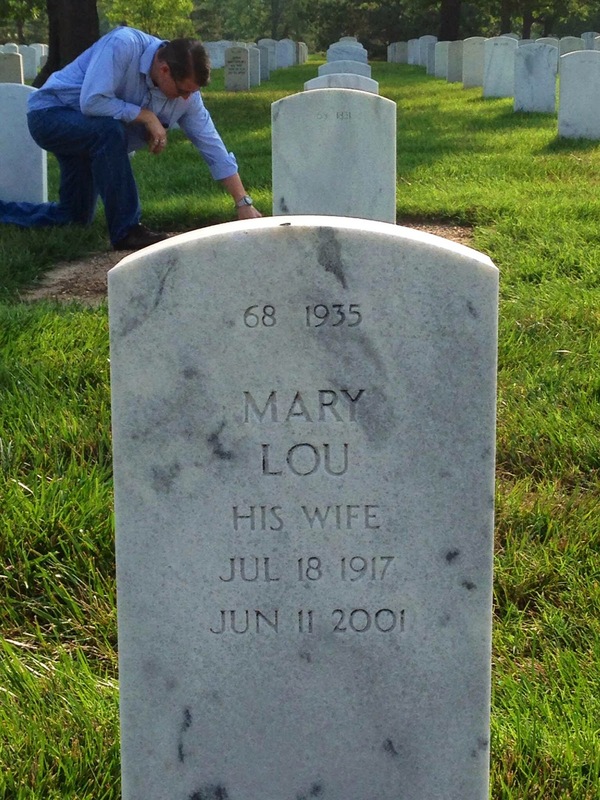 The only markers for individuals known to those still living (in this case, a few aunts and uncles) are the next three. 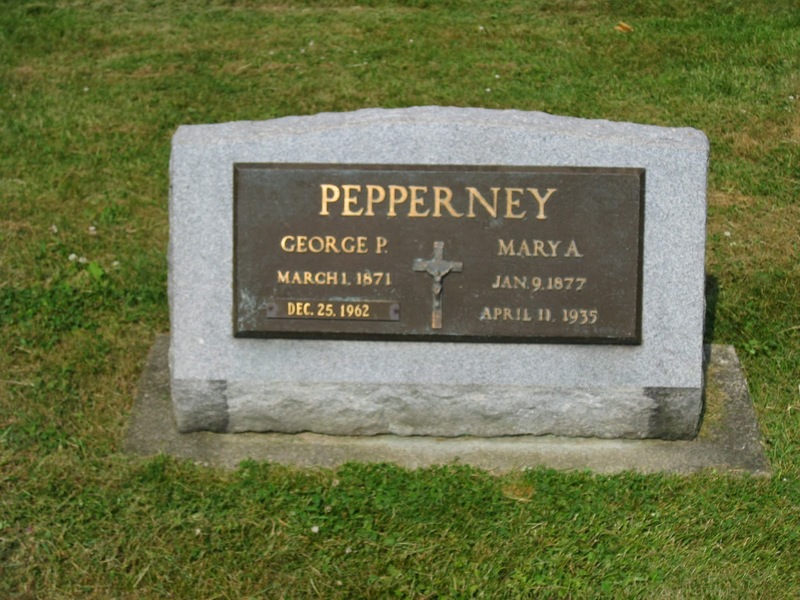 My great great grandfather George Peter Pepperney died on Christmas day 1962. 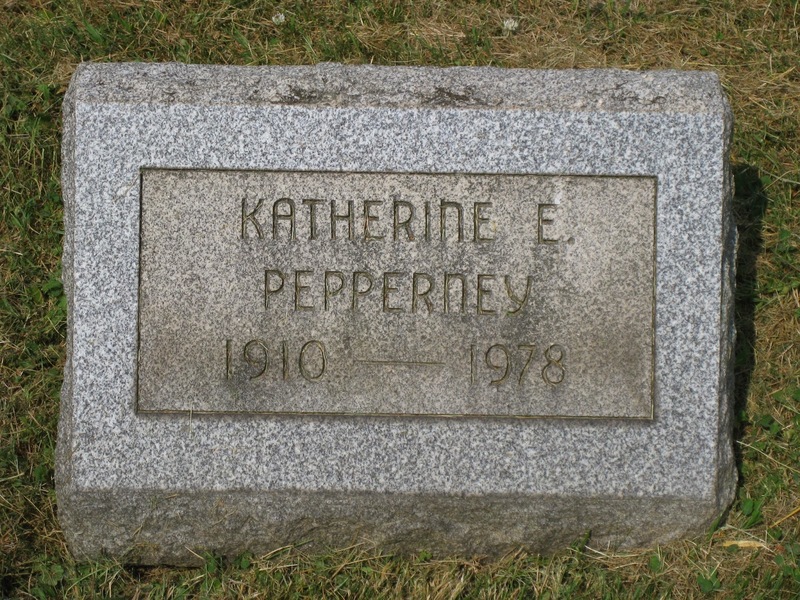 Eleanor J. Pepperney and her sister Katherine E. are buried next to each and next to their parents. 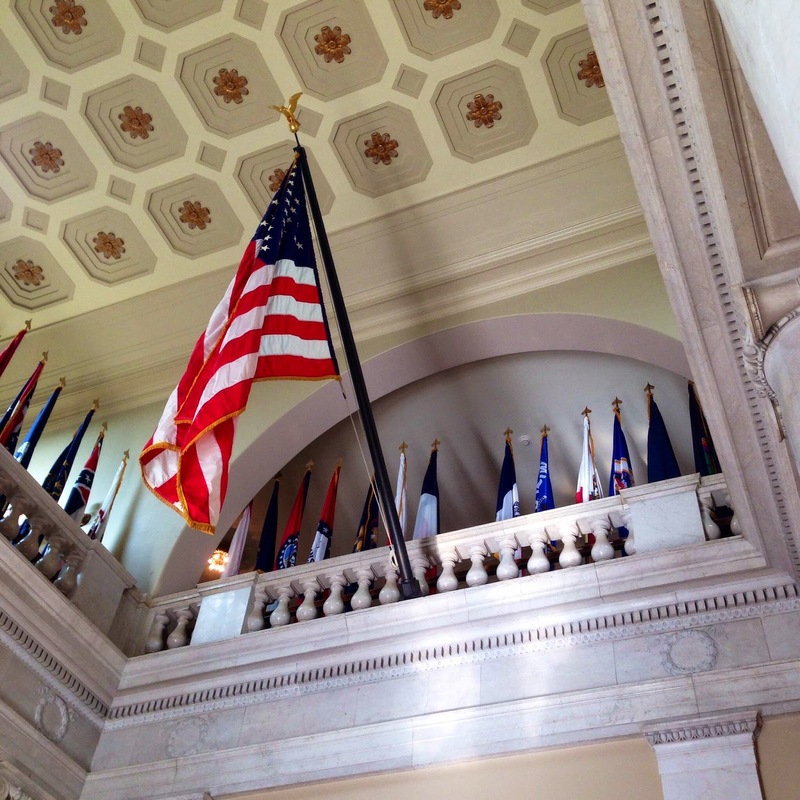 Neither married. 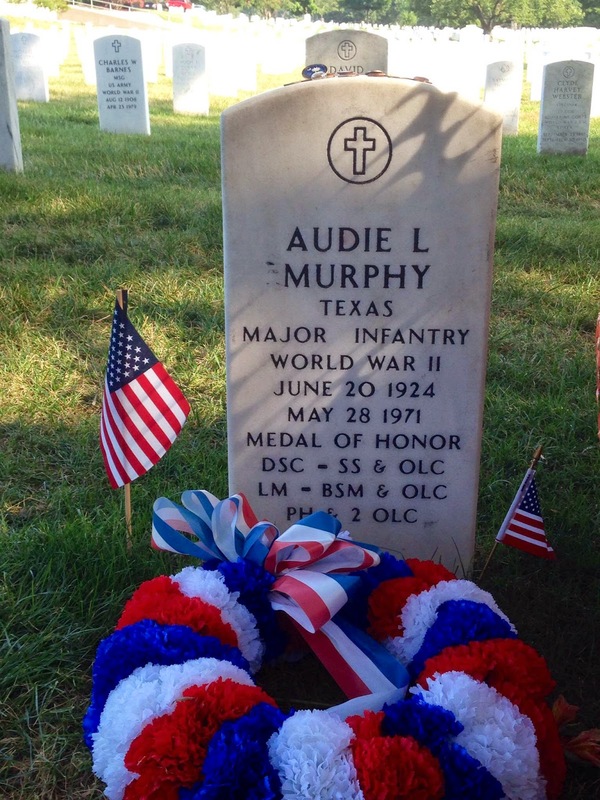 My aunts and uncles have many memories of aunt Katherine. 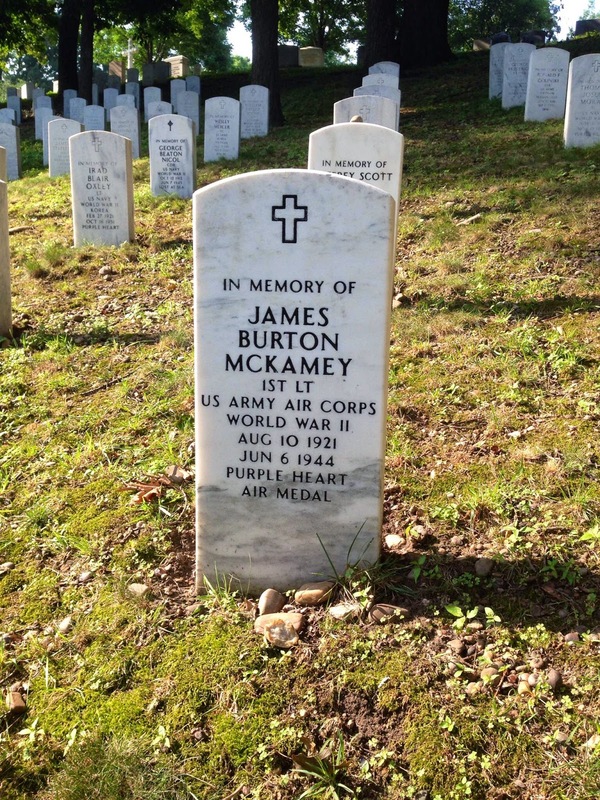 All of these graves are in a single area very close to one another just inside the cemetery entrance. 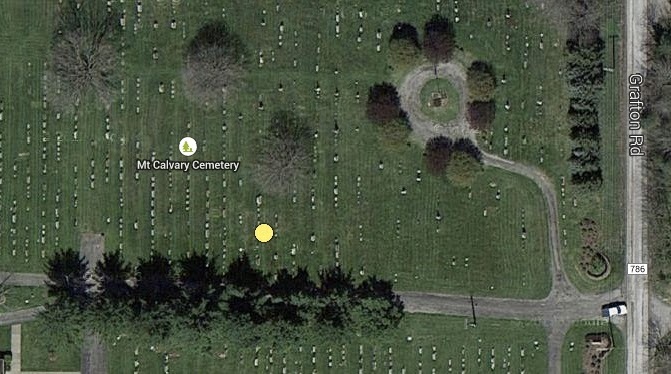 The yellow dot is the approximate location as I can best remember two years after visiting the cemetery.